Basic, professional looking diary. I choose dark red with cream pages from their selection of colours. The layout is a day-a-page, with small time notations, and with space for notes at the bottom. 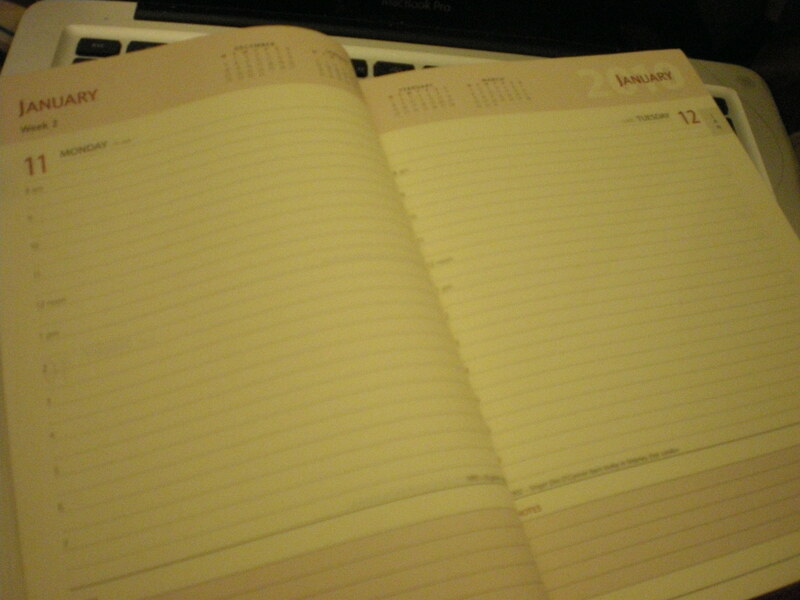 There is also a small monthly calendar at the top of each page so you can plan ahead. Has both a ribbon marker and tearable corners, so you can choose you own method of marking the page. There are loads of extra information in the diary including:3 year calendar, notable dates, planner, conversions, holiday planner, UK mileage, travel information and international information. 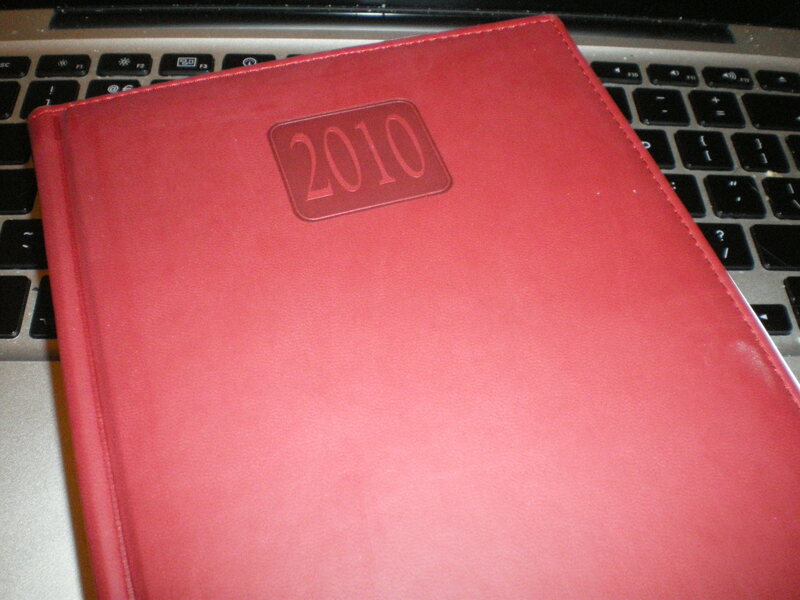 At the back to the diary there is the usual space for accounts, addresses and general notes. Great diary and I’m loving the cream pages. One negative is that fountain pen goes through the paper a bit. Funky pigeon is currently doing a giveaway of a free pocket diary until 31st on the blog / twitter (same style as my A5 diary). Make sure you check it out. I had to leave a note to thank you for blogging about us on two occasions, and also to tell you that I will pass on your comment about the use of a fountain pen on the pages to our procurement team. Nice to see you’ve tweeted about us too! No problems, thanks again for the diary!